Welcome to Catawba Valley Heritage Alliance. We work to preserve the remaining open space in the Hickory, NC area which can provide recreation, education and transportation uses as well as natural resources for the benefit of all. We are committed to the preservation of undeveloped land, improvements in bicycle and pedestrian access, and protection of natural habitats for this and future generations. We are currently taking applications for our small grants initiative. Help support the work of the CVHA. 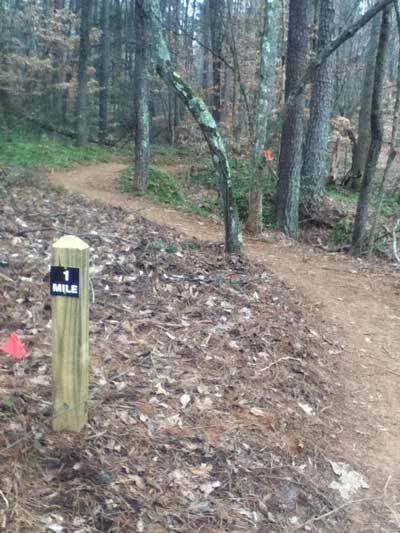 The Jacob Fork park has a new mountain bike and hiking trail. CVHA helped secure funding, coordinated with Trail Dynamics to build the trail and facilitated volunteer hours to make it happen. The Jacob Fork park is located off of Highway 10 heading from Newton towards Highway 127. Come and enjoy this new trail! Jacob Fork park also has a water access for canoes and kayaks. The Carolina Thread Trail is a proposed regional network of greenways and blueways that will stretch across 15 counties in the foothills. CVHA is proud to support this project and will assist in the planning of the layout of the trail and connecting trails in the Catawba Valley. 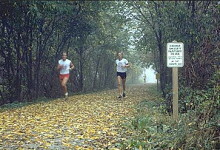 The Heritage Trail Greenway is a walking and biking trail located near downtown Newton, NC. It is approximately 1.5 miles in length. It is paved on one section and the other is crushed gravel, making it easy to walk and bike on. Check out the new trail!